Evening folks…man has had a fascination with rocks from the dawn of time. And still to this day folks still enjoy playing with rocks. 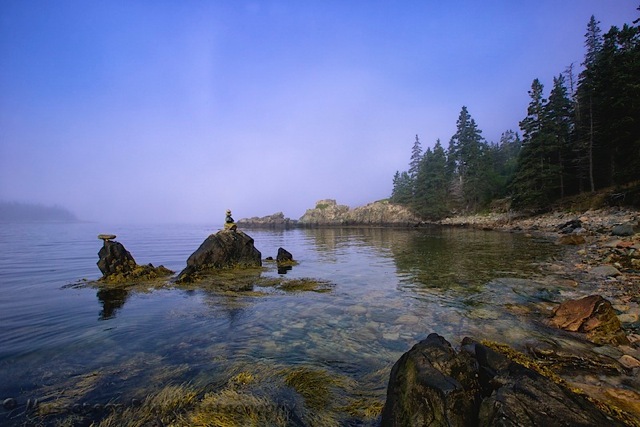 Rock cairns have long been the standard for trail markers, wonder where this trail leads! 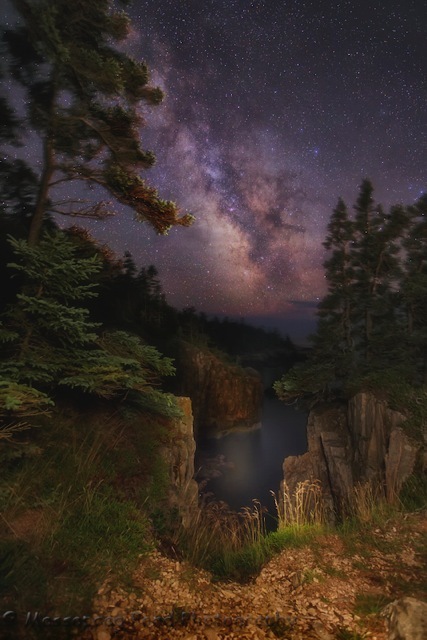 Evening folks…'Milky Way Rising Over The Raven's Roost' when I headed to Schoodic this past week, this was the photograph I was after… It took 3 nights to get the shot since, the alignment of the Milky Way was only there for about an hour. The best time was at around 10 PM, the first night a band of clouds came in at sunset and remained until around 11 PM. The second night a fog bank rolled in. And on the last night I was able to get the shot in just before a storm came in from the West. I can't wait to see what this one looks like on metal! Anyone wishing to purchase this print click this link. Canon 5D III 16-35mm f/2.8 lens using a iOpton Sky Tracker mount. Single 3 minute exposure @ ISO 640 @ f/3.5 while light painting the foreground. 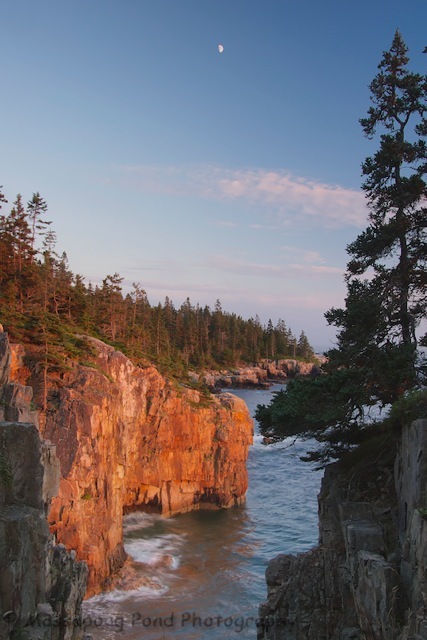 Evening folks…off to the Maine Coast tomorrow in the area of Schoodic Peninsula. One of my main goals is to do a night shot at this location with the Milky Way. Looks like I will have at least 3 nice nights at this very dark location….